Happy Friday everyone and congratulations to Cellabella!!! 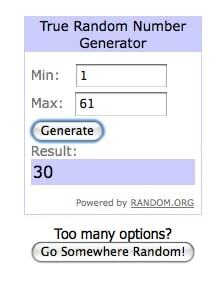 I used Random.org to pick a random winner and she’s the lucky winner. Please shoot me an email and I’ll send you all the details for your 1 year subscription to YogaDownload!